This home is fabulous! 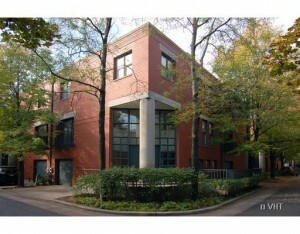 Rarely available 4 bedroom plus family room in Lincoln Park's only 24 hour attended gated community. Incredible floorplan with 3 bedrooms on one floor, gorgeous gourmet kitchen with subzero and stainless appliances, granite and marble baths and 2 private outdoor patios. Soaring windows and tons of light from 3 exposures. Lincoln school district. One car attached garage plus one pad. Perfect!